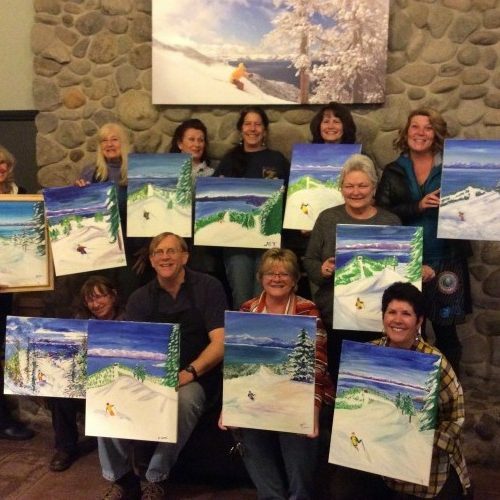 North Lake Tahoe’s mobile art party experience. 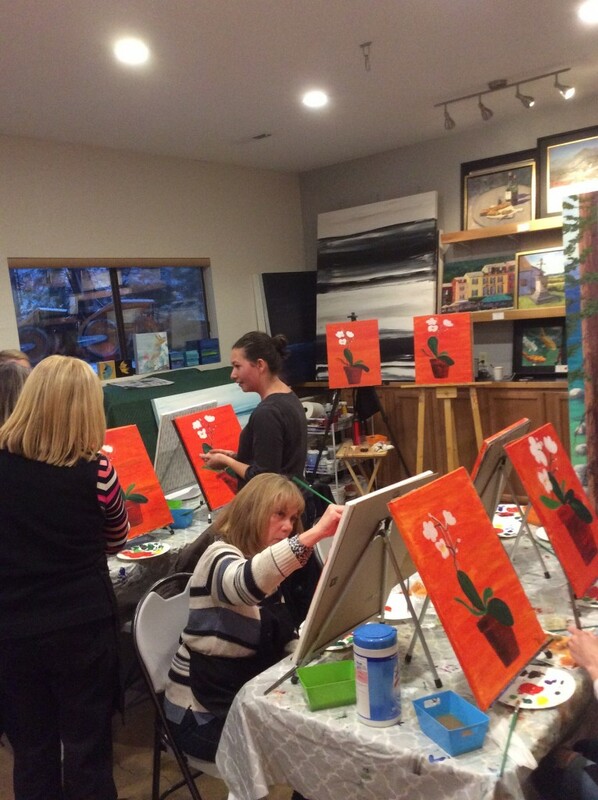 Join a scheduled event at our location in the Village Center, Incline Village, host a party at your home or plan your own custom party at a favorite venue. 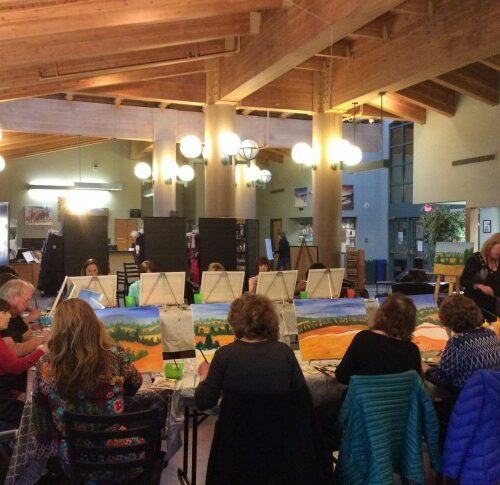 Classes can be just for fun or for artful instruction. 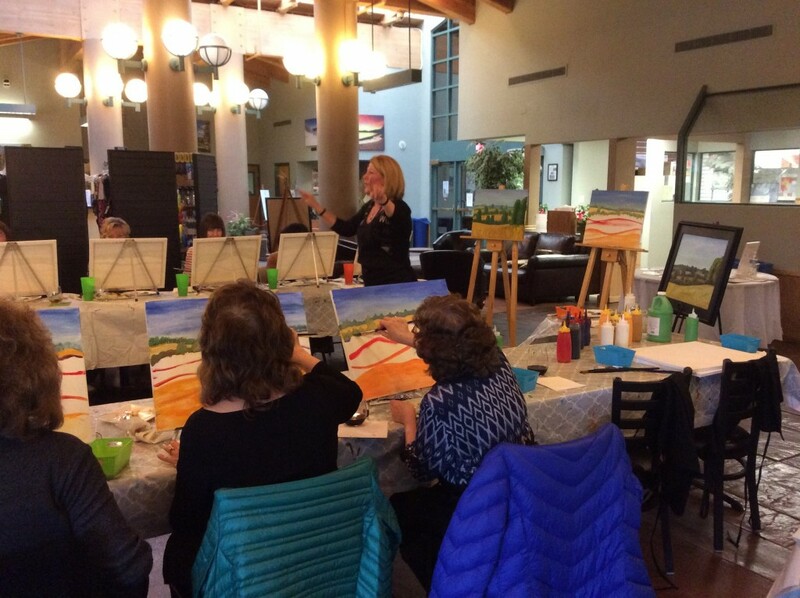 Our freelance artists offer a range of styles for you to choose from and we can set up an event at your home, office or local eatery. 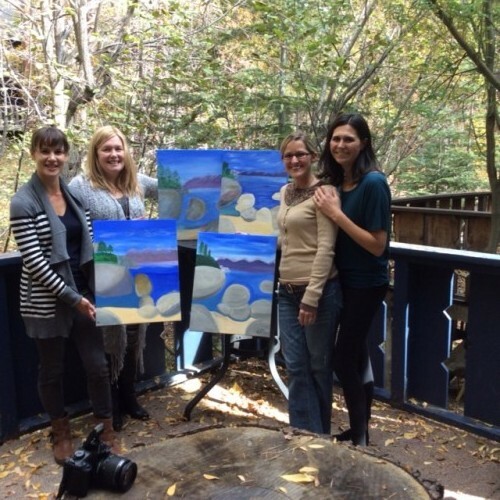 We are a traveling art studio based in Incline Village, NV. 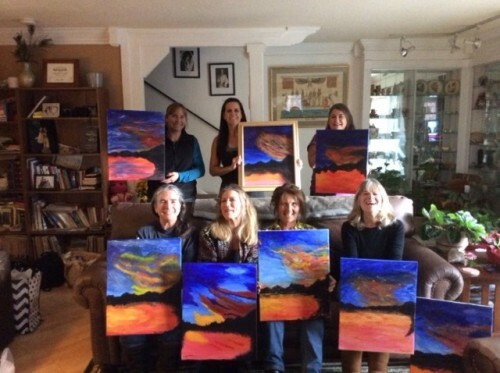 We facilitate art parties within an hour drive of Lake Tahoe and Truckee. 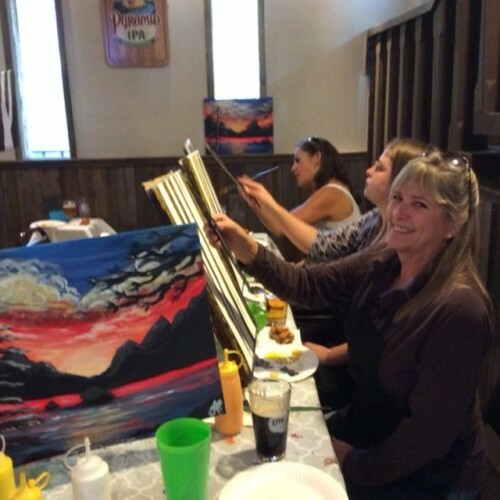 We provide the easel, canvas, paint, brushes, and aprons. 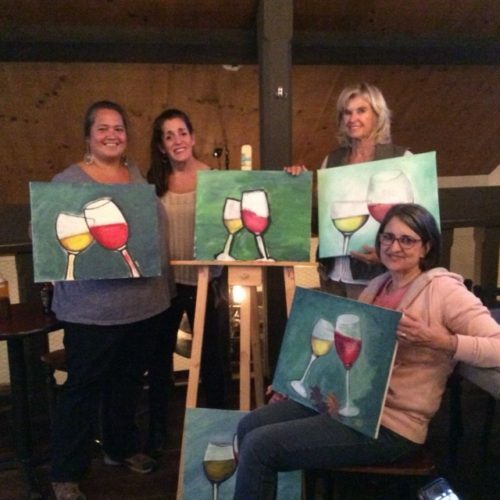 Then our talented freelance artists inspire you to create your own masterpiece. A great gift for family, friends and colleagues. 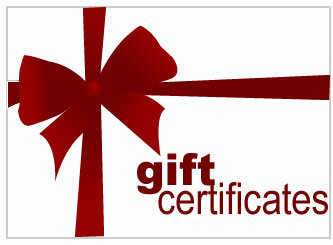 Our gift certificates can be used for our public events and private parties. 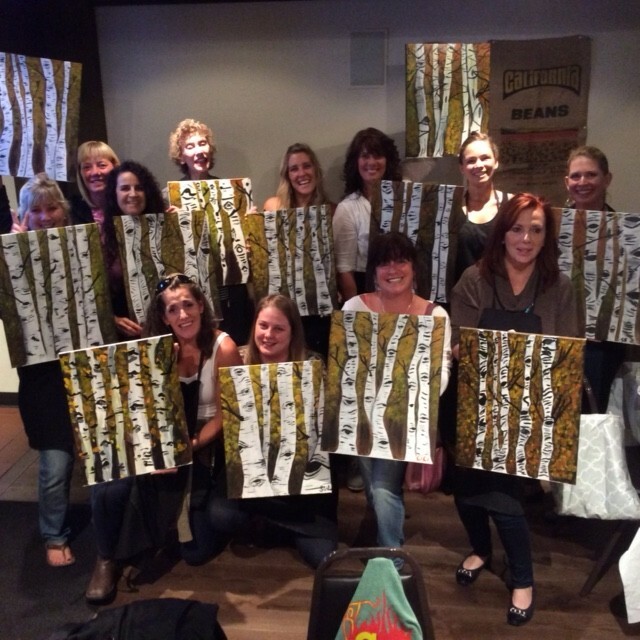 Book you Holiday Party Today! An Easel & Wine Art Party makes for an unforgettable staff party or festive cocktail party with friends! 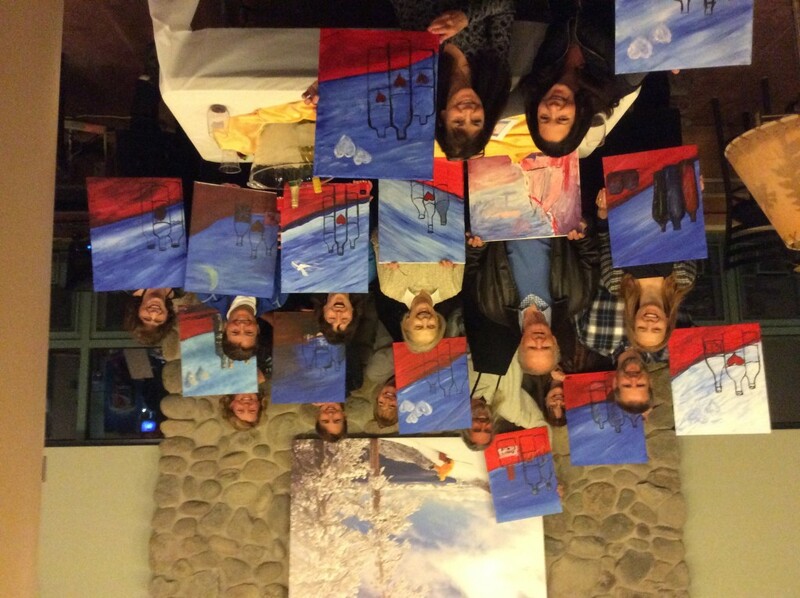 Book your holiday party with Easel & Wine before we book up. 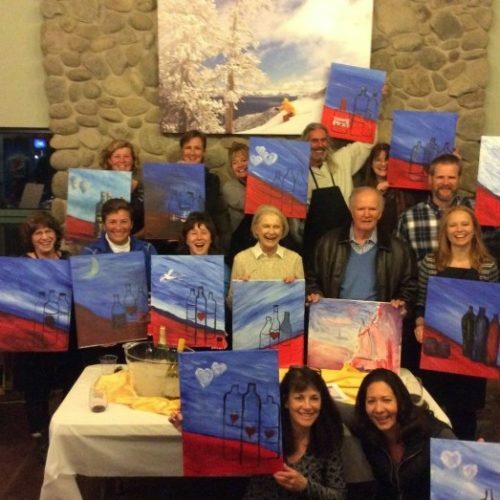 Try Our To-Go Painting Kits! Let your imagination soar. 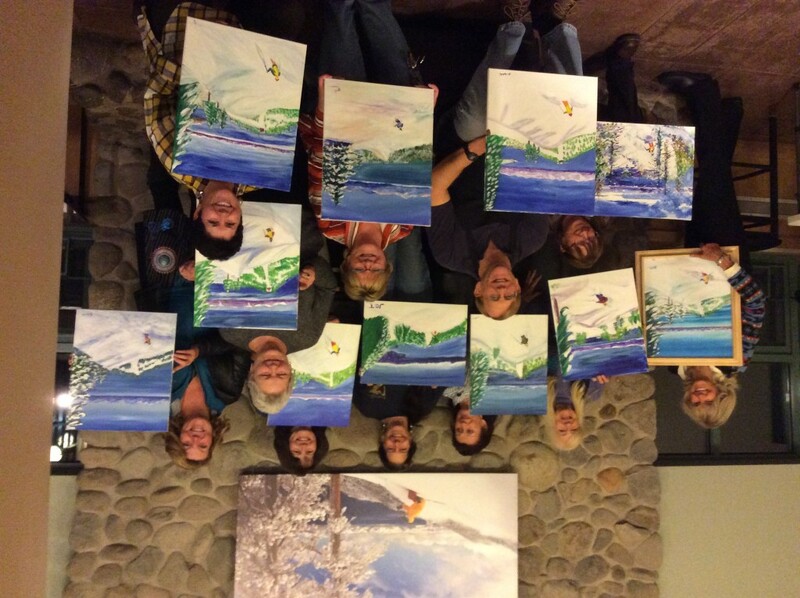 Decorate your own or gift our popular lighted wine bottle painting kit! The kit contains an empty wine bottle, cork lights, paints, brushes, palette and stencils. 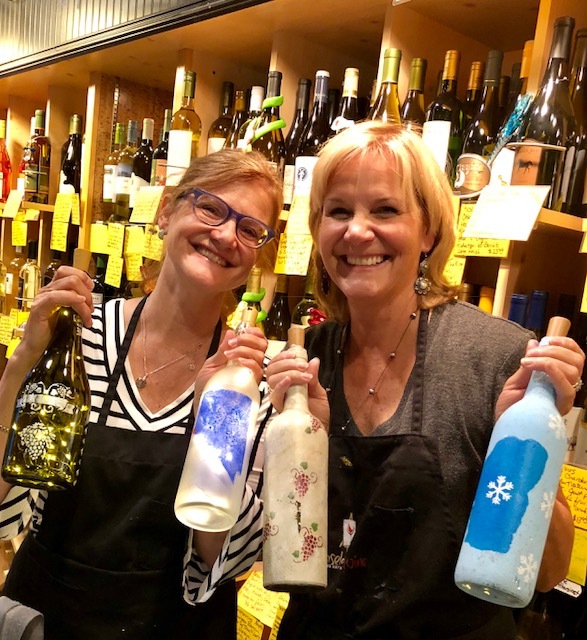 Everything you need to create your wine bottle masterpiece! 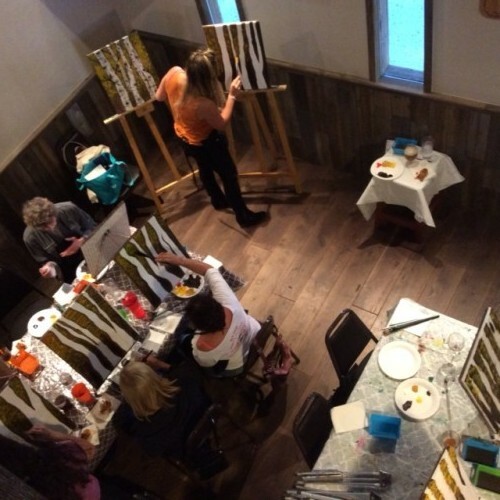 Our venue changes, providing our clients with a unique art experience each and every class. 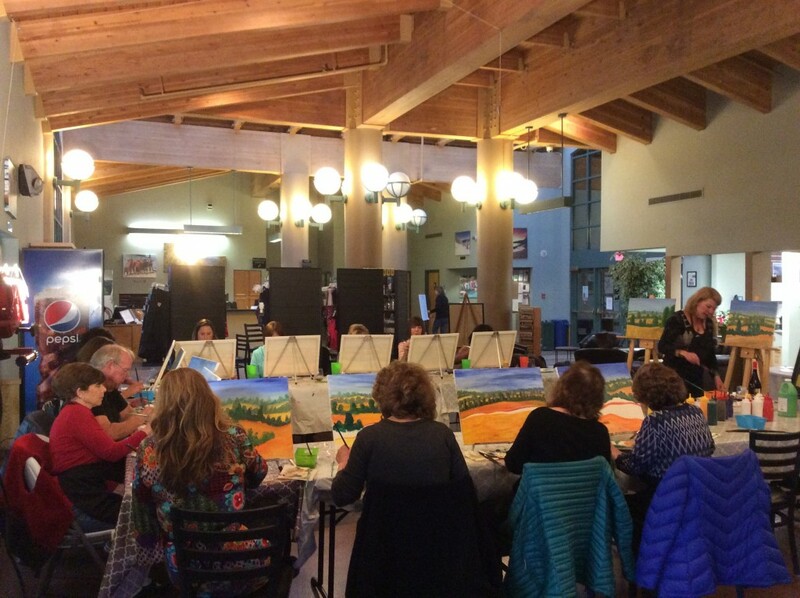 We have various art party venues around Incline Village. 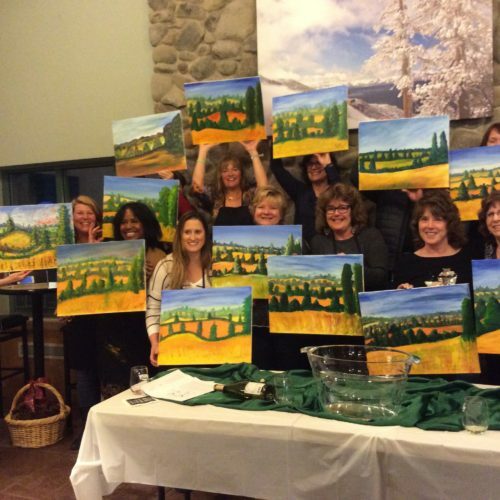 At these venues, wine and beer can be purchased to release your inner artist. 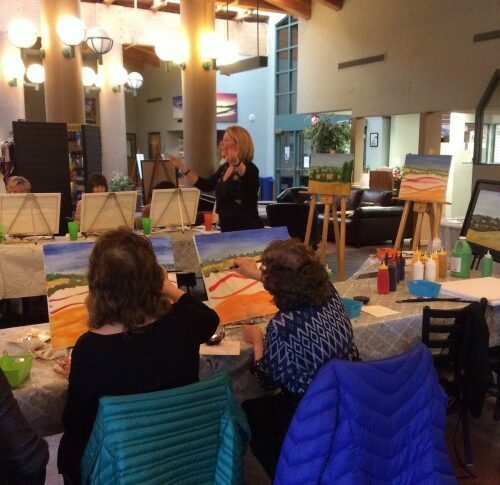 Enjoy an appetizer and wine before and after our classes. 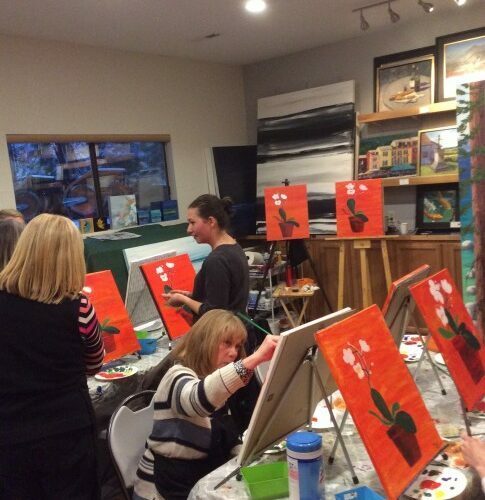 Check our calendar for upcoming locations and times or call to schedule your own art party. 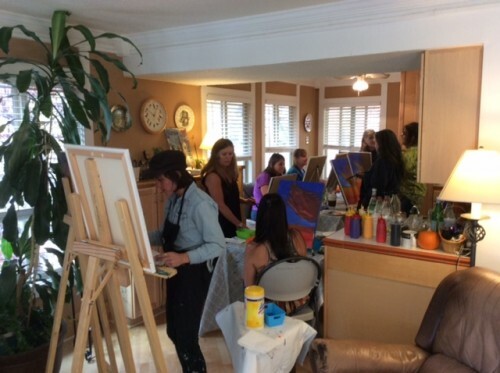 Private parties are available, at your home, office, conference room or restaurant. 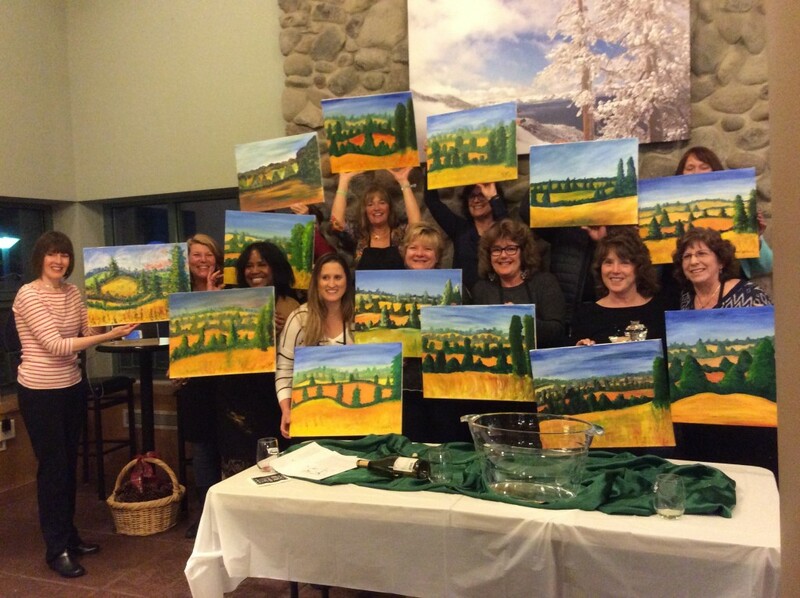 Every event is unique, we love special requests and special themes for our Painting Parties, contact us today with your request..